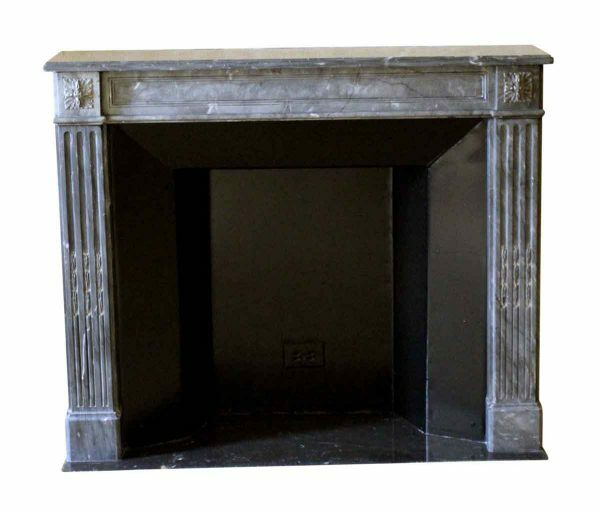 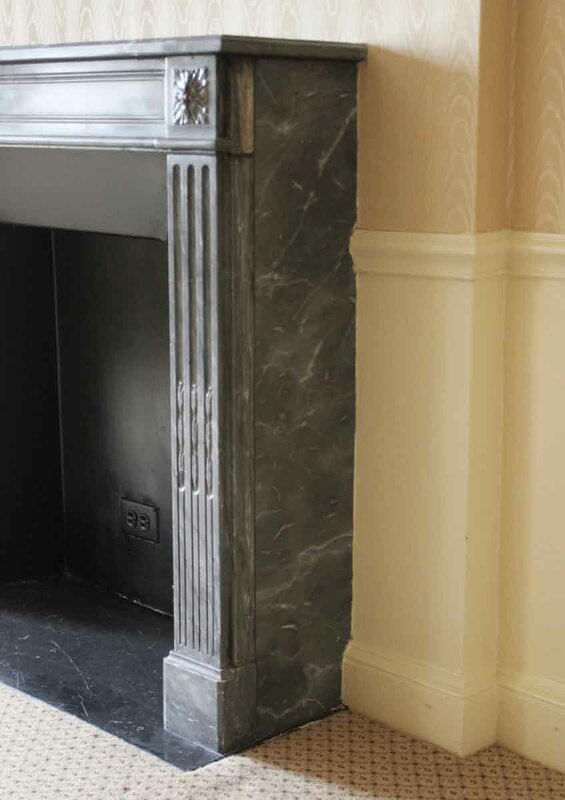 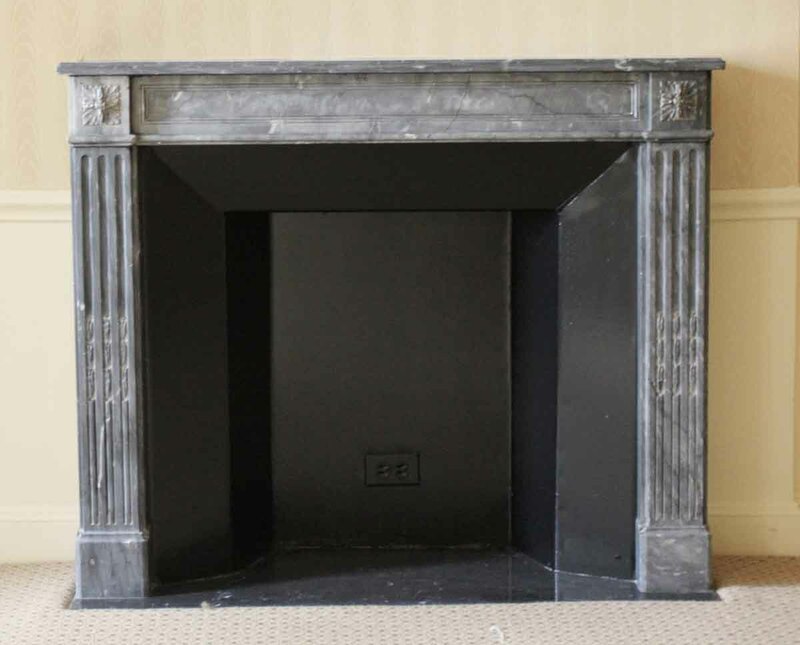 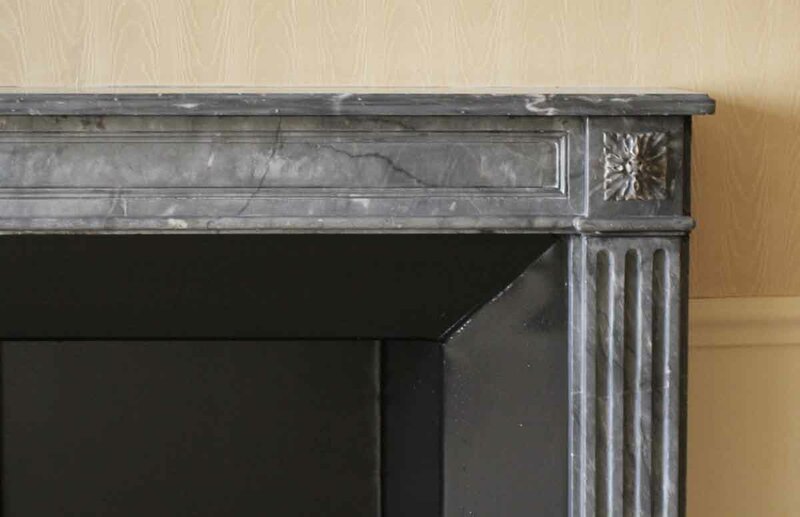 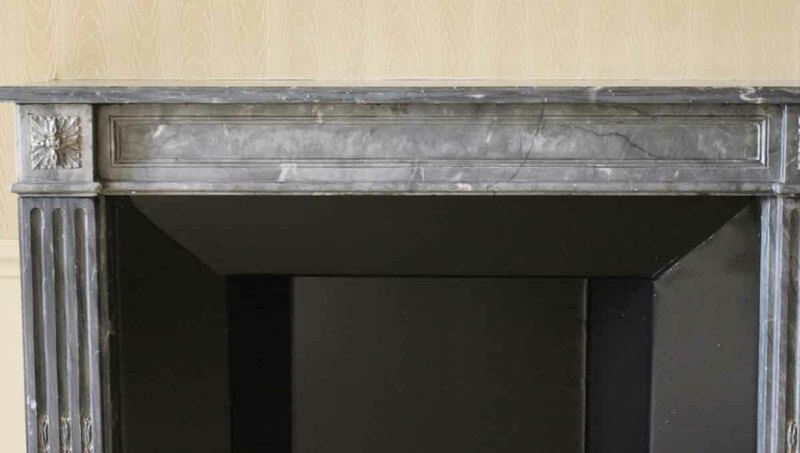 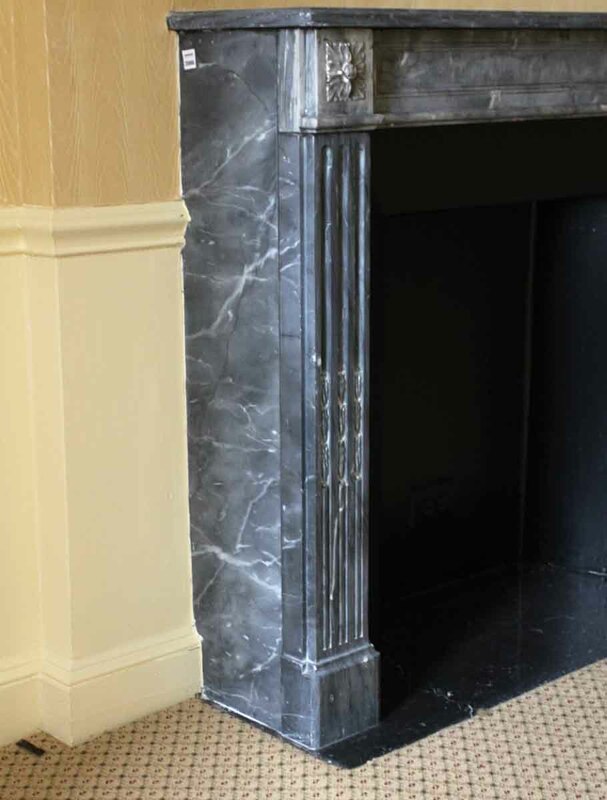 Louis XVI French Regency dark gray marble mantel with white veining. 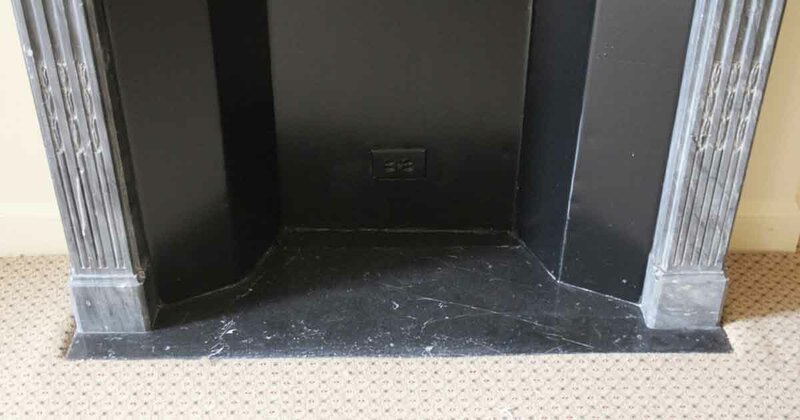 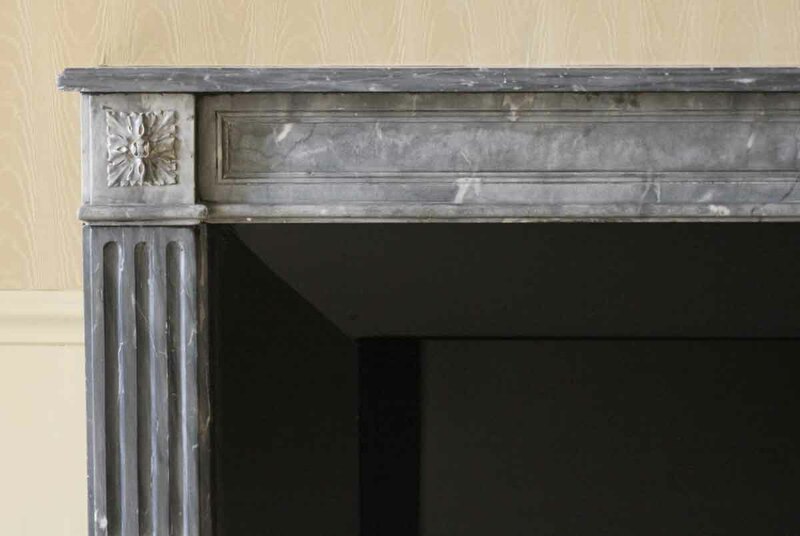 There are floral carvings on the two top plinths. 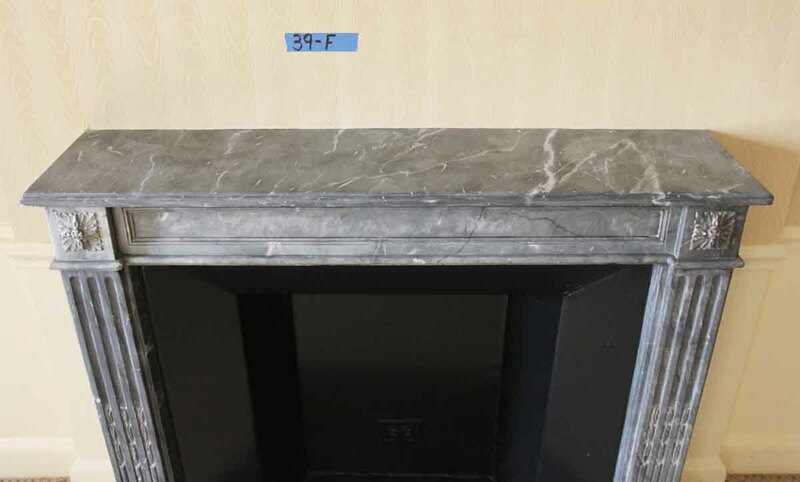 This mantel was imported from France and installed in the Waldorf Astoria Hotel of Park Avenue, New York City in the early 1930’s. 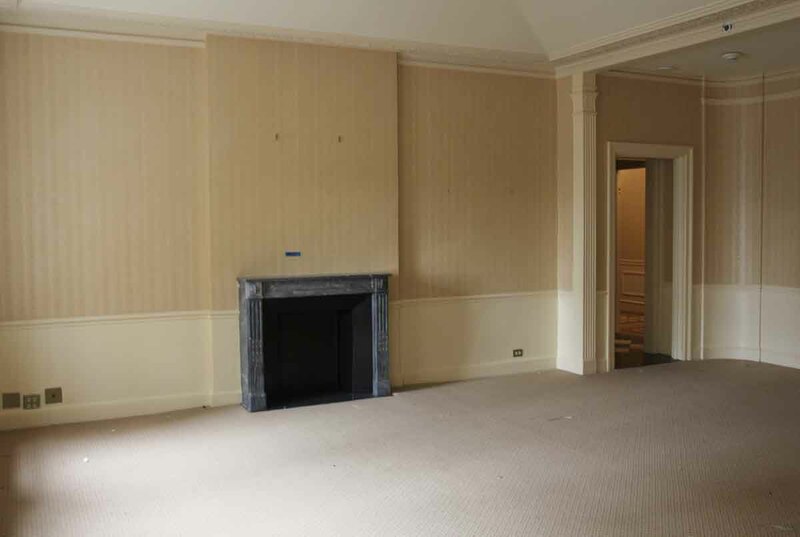 This was originally in room 39F of the Waldorf.